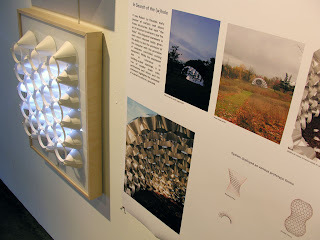 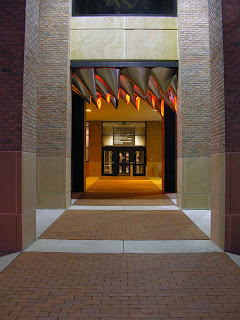 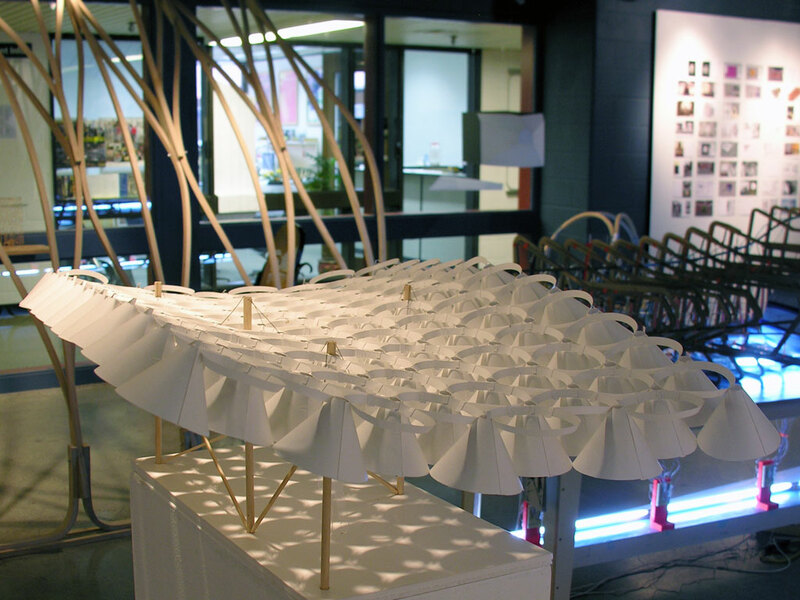 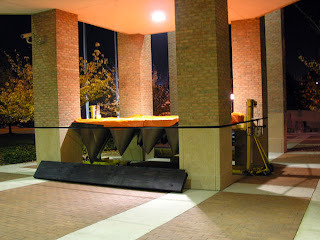 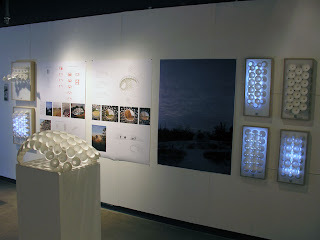 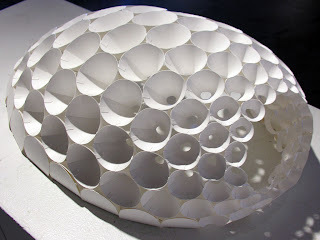 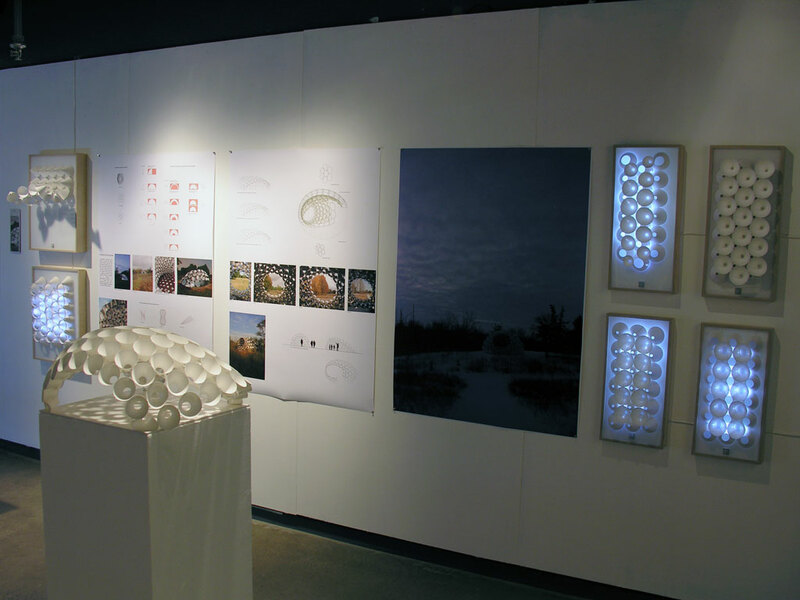 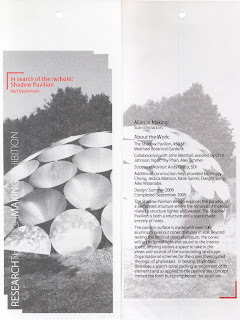 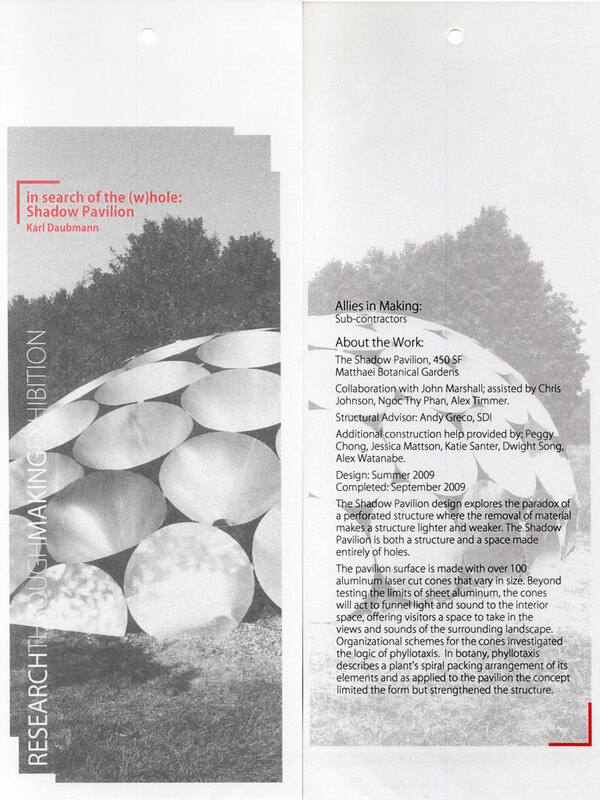 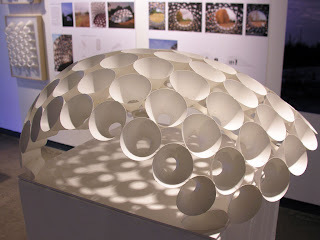 Taubman College Research Through Making Exhibition, January 15 – February 4, 2010, in the College Gallery. 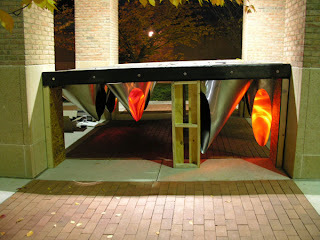 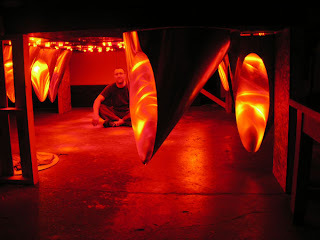 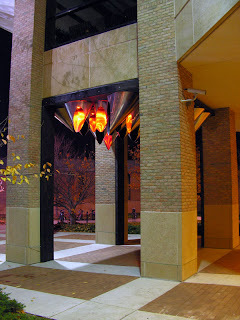 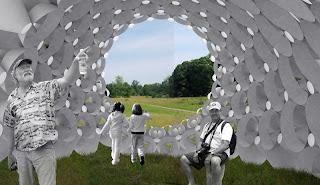 Major elements of the Shadow Pavilion completed (designed for a site at the University of Michigan Matthaei Botanical Garden). 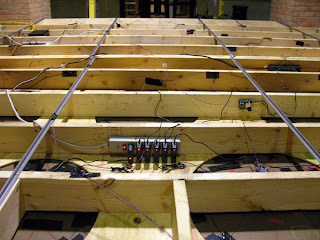 Minor tweaking still required. 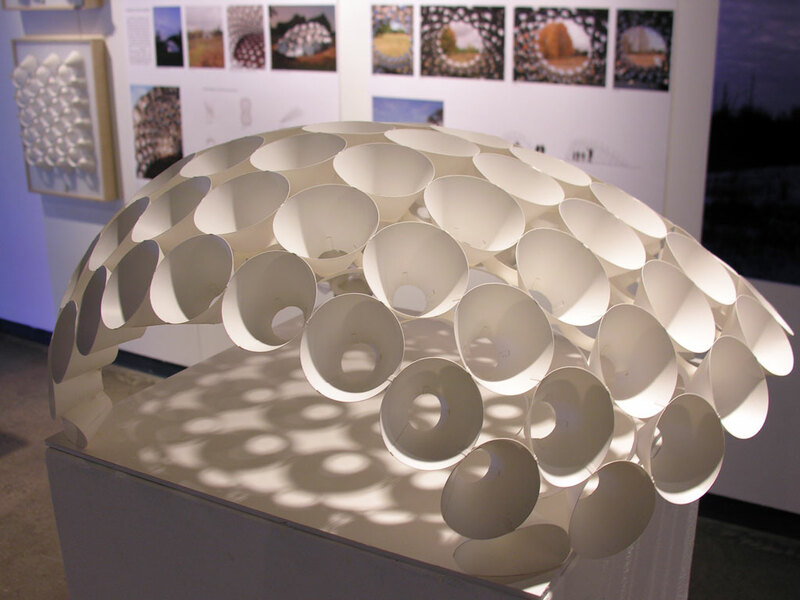 The Shadow Pavilion explores the paradox of cutting holes in a structure because the removal of material makes a structure weaker but also lighter. 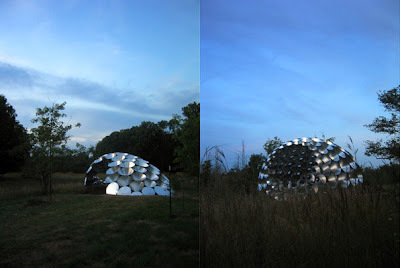 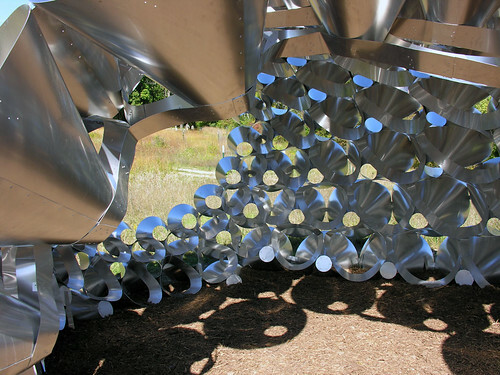 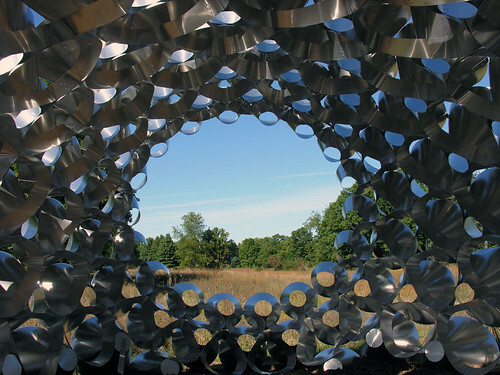 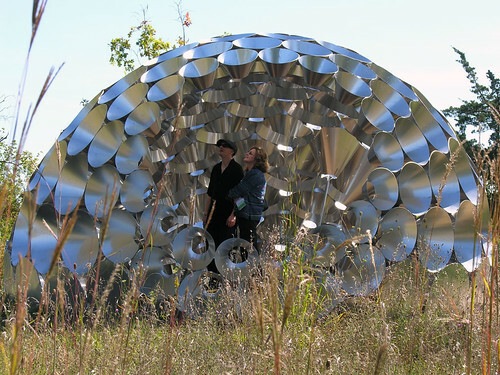 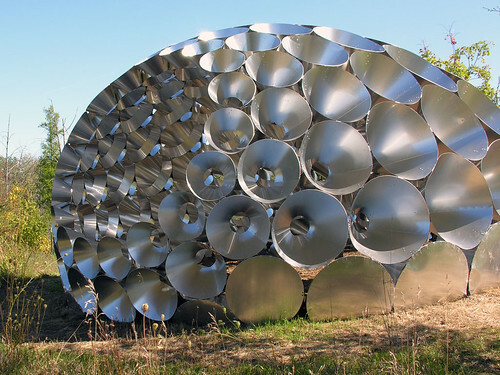 The Shadow Pavilion, designed for a site at the University of Michigan Matthaei Botanical Garden, is both a structure and a space made entirely of holes. 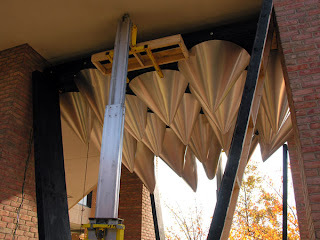 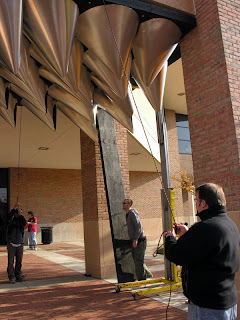 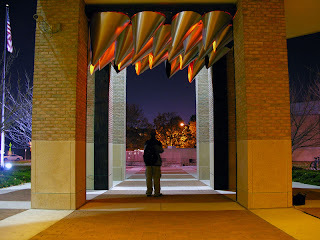 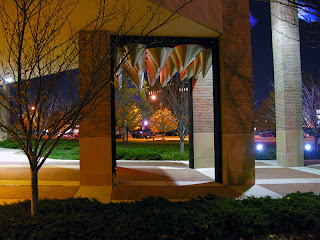 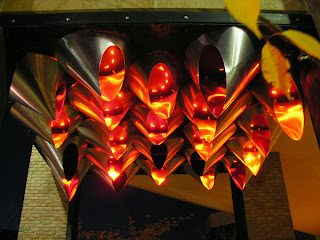 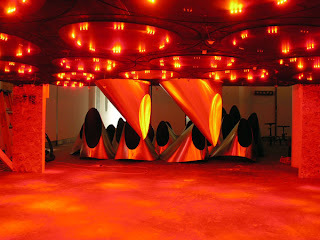 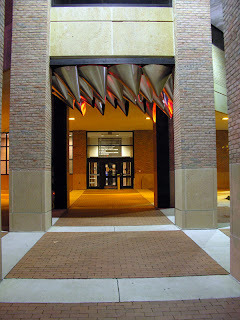 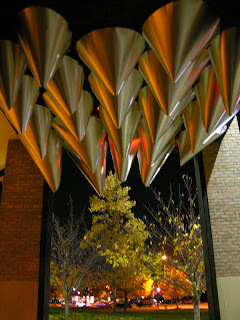 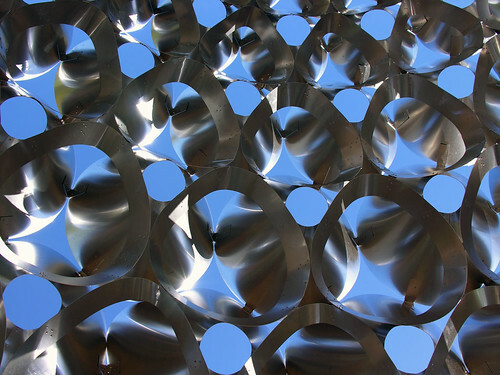 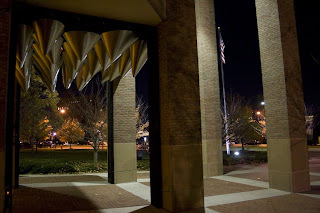 The pavilion surface is made with almost 100 aluminum cones that vary in size. 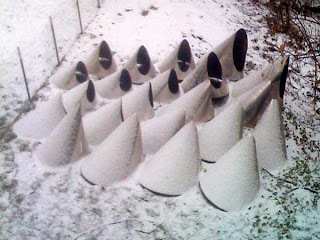 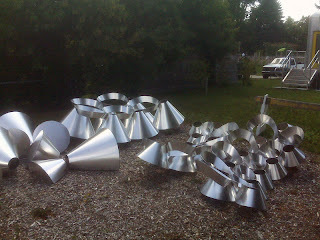 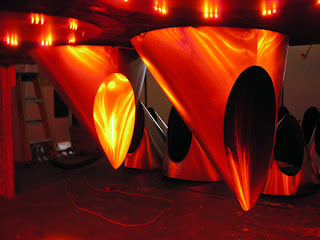 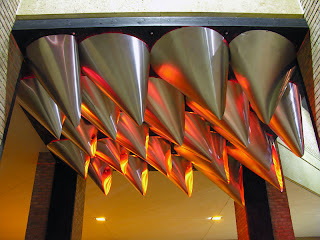 Beyond testing the limits of sheet aluminum, the cones will act to funnel light and sound to the interior space, offering visitors a space to take in the views and sounds of the surrounding landscape. This project was made possible by a Research-through-Making grant from Taubman College of Architecture and Urban Planning at the University of Michigan.